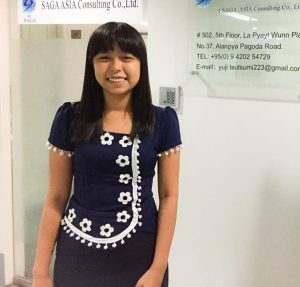 Intern Interview | SAGA ASIA Consulting Co., Ltd.
1. 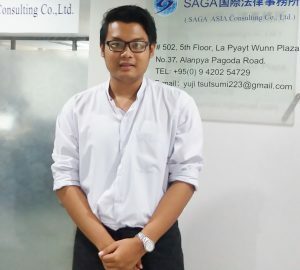 Why did you decide to intern at our company? 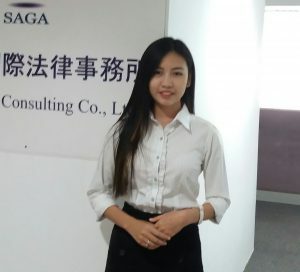 When I read about the company description, I saw two job position for intern, secretary and translator. I am interested in these two positions.so I decided to intern at this company. 2. What do you want to be in the future? I want to be a business woman in the future and I am working on this. 3. What do you enjoy in holiday? I like to read and swim during holiday. Sometimes, I go to trip. My strengths are that I am good at managing and making plans. I am quick learner as well as good listener. My weakness are that I am afraid to stand in front of the audience and I am so helpful to others and sometimes people takes advantages of my weakness. 1. Why did you decided to intern at our company? 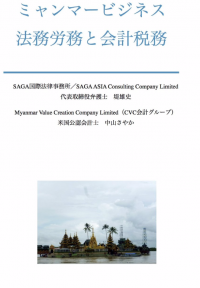 SAGA ASIA came into my notice at the regular Friday seminar. Instead of doing nothing doing my university break, doing internship which can support my career would be better for me and my future. A am still in dilemma between becoming a teacher and becoming a corporate lawyer. Hanging out with friends is my first priority but when I am alone, I watch movies and variety shows. Strengths- I am easy to cope up with the changing environment. I am proficient in English to an extent and when I am decided to do something, I make it happen. Weakness- I trust people too easily. Since I am seriously interested in politics, gaining the experiences about law will be very delightful. And I would also like to contribute this organization as much as I can . And I head a good reputation about this consulting company from my friends. I would like to become a politician. I usually teach some needy children during my holidays. Regarding books and playing football are my ways to spend my holiday too. I think I can mingle with new environment and usually adapted to its situation. But I speak too fast sometimes and people get confused with what I really mean. And I am wreck of nervous sometimes so I need to be calm too.